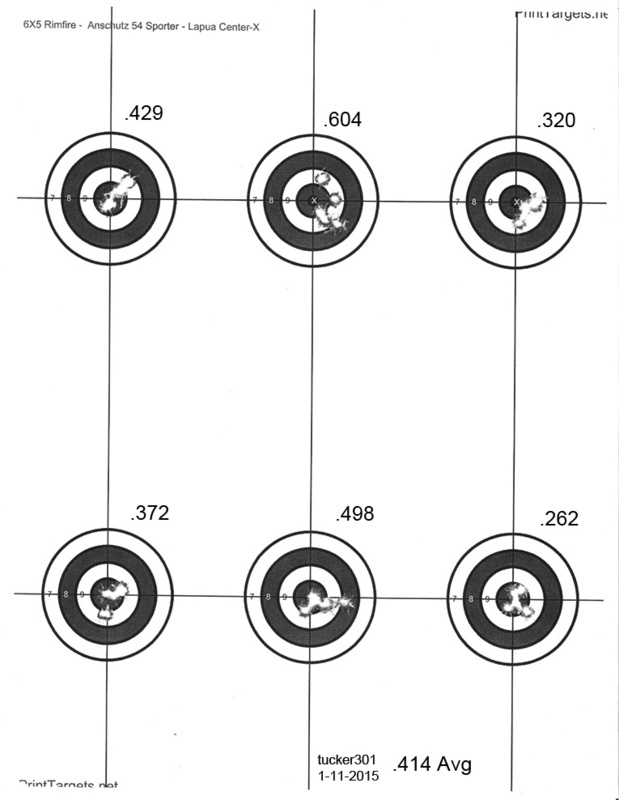 I got some time SUnday to run a couple of 6X5's (6 targets - 5 shots each). Some are just plain embarrassing, and show I need more practice, but there are a couple, including my personal best to date of 0.129", that make me smile. Pictures are likely going to be too big for the ridiculous size limits of these forums, so right-click and view image. Then go buy a monitor made this century. You have a camera, right? Yep. Next time I go to the range I'll take it. 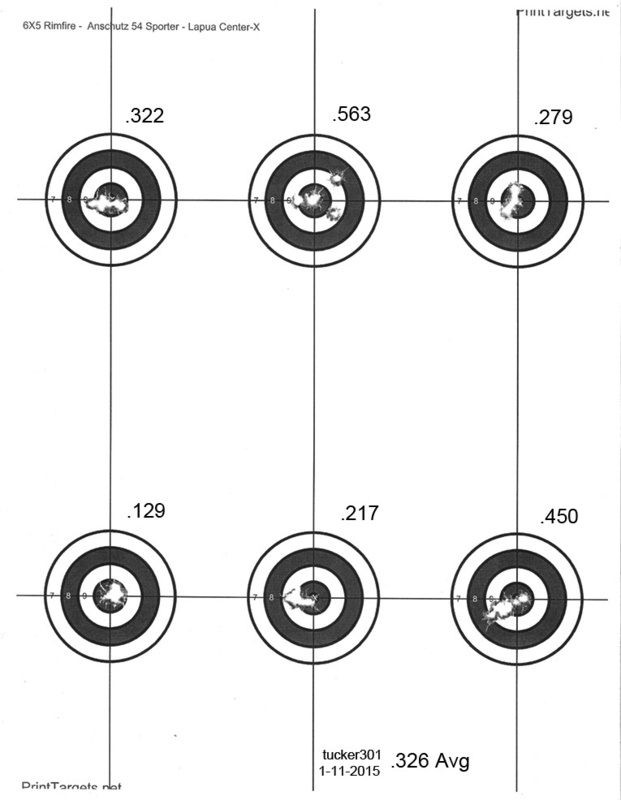 Those are nice, but 50 yard groups don't impress me with that round...the first shot I ever fired with a .17Hmr was at a crow sitting in a tree at a lasered 210, smoked. We routinely shoot starlings and pigeons off the roof's of occupied barns with them. But you know this is a .22, right? My 1517 is on its way to me as we speak. I keep thinking this thread says "Best group dates at Auschwitz". tucker wrote: But you know this is a .22, right? I got confused after your other thread on the Anshutz .17....those are pretty awesome for a 22 LR, even with match ammo. Olly wrote: I keep thinking this thread says "Best group dates at Auschwitz". I got confused after your other thread on the Anschutz .17....those are pretty awesome for a 22 LR, even with match ammo. LOL. It's all good. I don't think even the Germans were making 17 HMRs in 1972. 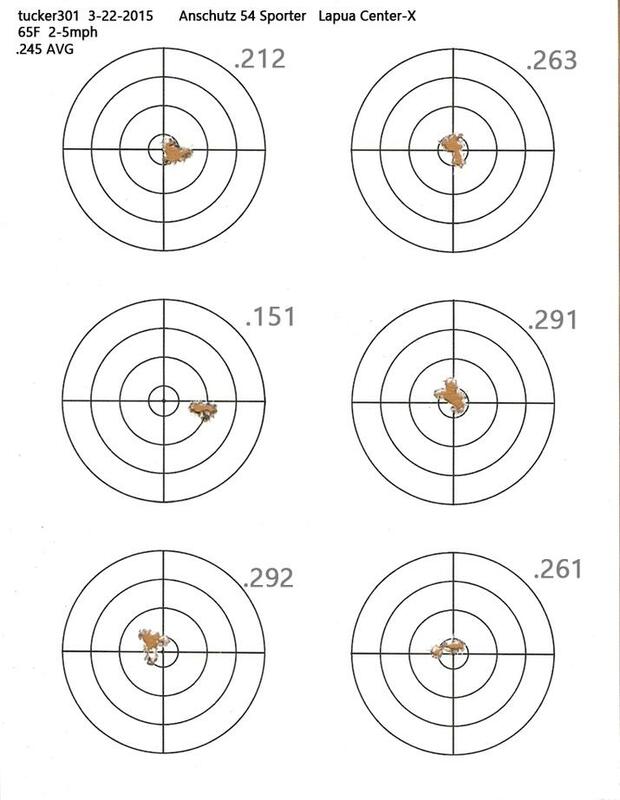 I do plan to do some groups at 100 with the rifle though. What do you have for glass on that?? DeadEye_Dan wrote: What do you have for glass on that?? Got a pretty good shoot last outing. Shot paper once. It's kind of dry, bland, and lacks any kind of flavor.